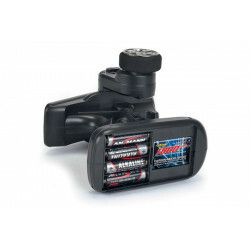 The Reflex Wheel Pro III is the innovative 2-channel beginners' RC system from Carson Model Sport. The steering movement and servo travel for acceleration are adjustable (Dual Rate). This means that any model can be controlled with the utmost precision and adapted to the road surface, enabling acceleration to be limited for beginners and children. 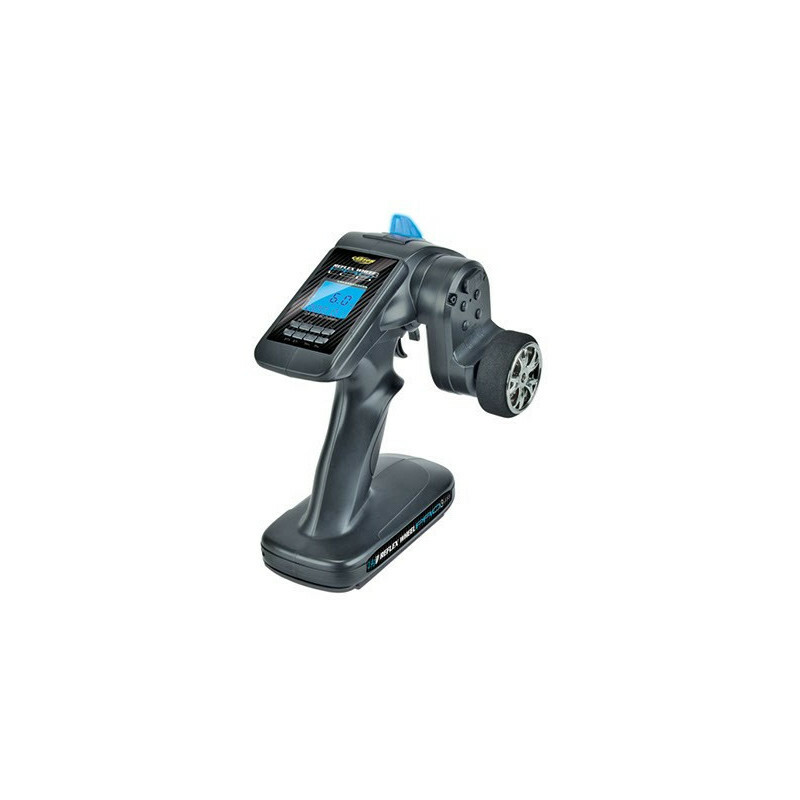 The chrome steering wheel with foam rubber grip facilitates accurate steering and can be angled forwards and backwards independently. The automatic stop function (low voltage protection) incorporated into the receiver is a life saver for your combustion model. 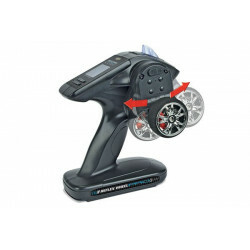 This remote control is perfect for all areas of RC sports cars. Binding is ingenious and blissfully simple: 1. Switch on receiver 2. Press Setup key 3. Switch on transmitter - DONE! 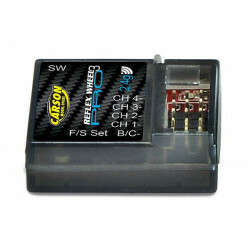 Technical Data: Operating Voltage 4,8 bis 6 V • Operation with LiPo-Akku or 4x AA NiMh batteries possible • 2,4 GHz FHSS-System (Frequenz Hopping Spread Spectrum) • two continuously controllable fully proportional channels • servo reverse for both channels (reversal of the running direction) • trimming function for accelerator and steering • Dual Rate for both channels (path limitation of the servos) • powering of BEC-receiver with drive battery from 4.8 V to 7.2 V possible • Integrated Fail-Safe (programmable) • pluf system for Futaba and Graupner-J/R • charging socket (plus terminal inside) • battery status indicator by LED. 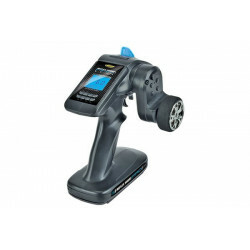 Scope of delivery: 2 Channel, 2.4 GHz transmitter, mini receiver manual in several languages. GB: Not for children under 14 years. The packaging has to be kept since it contains important informations. Illustration may vary from actual product in the box. CARSON reserves the rights to change, update or replace any component at any time.